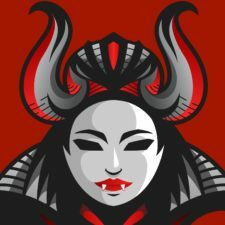 The most recent horror, scary stories, and creepypasta releases from Lady MCreepsta, presented by Chilling Tales for Dark Nights. Lady MCreepsta narrates her favorite creepypastas. Greetings fellow ghouls and ghosts and fans of horror and the macabre, I am Lady MCreepsta. Welcome to my domain. This is where you will find the creepiest and scariest stories on the internet… and beyond… narrated by yours truly. So come. Turn the lights down low. Sit and join me. For tales of ghosts and demons, beasts and madness and everything in between. New story up twice to three times a week, because I know what it’s like to have a craving.